(October 6, 2015 — Toronto) — Swim Guide is thrilled to announce that Audiobooks.com is the newest sponsor of the web’s most helpful beach information service. 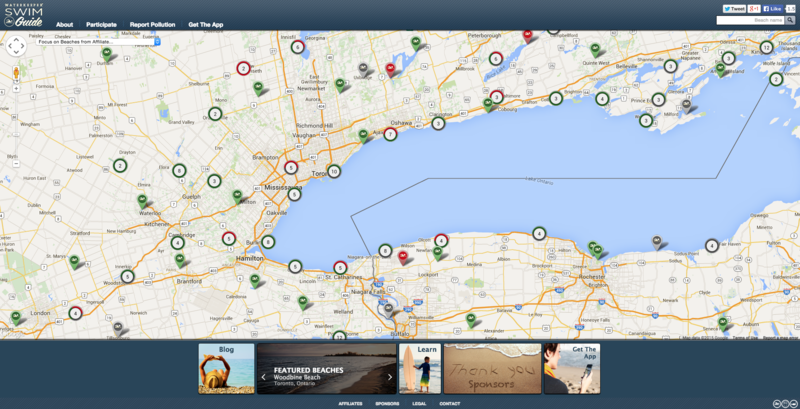 Created by Lake Ontario Waterkeeper in Toronto, Swim Guide is a website and app that helps you find beaches and water quality reports in Canada, the United States, Mexico, and New Zealand. Proceeds from the Audiobooks.com sponsorship help Swim Guide offer this free beach tracking service to more than 550,000 users and 50+ nonprofit affiliates. Together, they promote environmental stewardship and help prevent waterborne illnesses. “Beaches and reading go hand-in-hand. Listening to audiobooks in the car on your way to the beach, or with your headphones stretched out on the sand, is a perfect addition to your day by the water,” says Swim Guide co-creator Krystyn Tully.